The member of an OPC has to nominate a nominee with the nominees written consent, and file it with the Registrar of Companies (RoC). This nominee in the event of death or in event of any other incapacity, shall become a member of an OPC.On account of Death of a member, the nominee is automatically entitled for all Assets and liabilities of OPC. Private limited companies are treated as a single entity,making the company responsible for all debts.If anything happens to the company, its members are not personally affected; members are only liable for unpaid shares. "Officers of the company retain their company salaries, they cannot be made bankrupt and they are free to form a new company. 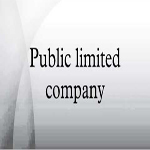 A public limited company is a team that has acknowledgment to offer its securities for sale to public, typically through a stock exchange, or sometimes a company whose stock is traded through different market makers.Public company means a company which is not a private company and doesn't have any prescribed minimum capital limit. A company registered under this section shall not alter the provisions of its memorandum or articles except with the previous approval of the Central Government. 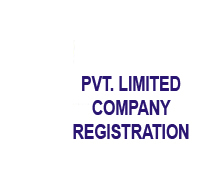 A company registered under this section may convert itself into company of any other kind only after complying with such conditions as may be prescribed. Limited Liability partnership is a body corporate formed and incorporated under the Act and its legal entity separate from its partners. Being a separate legal entity, an LLP is capable of entering in to contracts and holding in its own name. 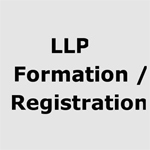 Further LLP can sue or be sued in its own name. Ut wisi enim ad minim veniam, quis nostrud exerci tation ullamcorper suscipit lobortis nisl ut aliqui. Apply for Director Identification Number and Digital Signature Certificate. Selection of name for your proposed company. E-filing of various documents and forms with MCA. Obtain the Certificate of Incorporation. Obtain the certificate for commencing your business. Here to note that the last two steps are required only in the case of incorporation of a public company. Solubilis Corporate Services LLP can assist you to form companies like Private Limited Company, LLP Company, Public Limited Company Formation, OPC- One Person Company Formation in India. Solubilis is India's fastest company registration consultants who can do a company registration process within ten days. The company formation procedure is to apply for the Digital Signature certificate and DIN. Once if the DIN got approved, we can apply for the name. After the name got approved, start with the incorporation process. 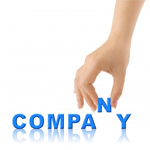 A private limited company is a most common type of company incorporated under the laws of Indian Companies Act. It has shareholders with limited liability and its shares cannot be offered to the public, unlike public limited companies “Limited by shares" means that the liability of the shareholders to creditors of the company is limited to the capital invested, i.e. the nominal value of the shares. A shareholder's personal assets are protected in the event of the company's loss, but capital invested in the company will be lost. Private companies limited by shares are required to add "Private Limited" (often written "Pvt Ltd") at the end of their name. If you are not sure of any aspects of Company formation, we can help you to understand all the requirements of the private Ltd Company. The best way to start a business is to incorporate Private limited company because it has many advantages like limited liability of members and directors, separate legal entity, easy compliance, etc. 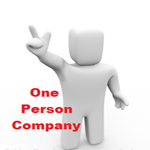 A company can be formed with 2 directors and capital of Rs 1 Lakh. 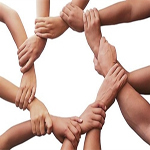 A company is an association of persons formed for the purpose of business activities. A company has the distinct name and limited liability; it is a juristic person having a separate legal personality different from its members who constitute it, capable of having the rights and duties of its own and endowed with a potential or perpetual succession. The promoters of a company may be individual or a body corporate to form a company. The promoter has to define the object of the company and decide the proposed scale of operations, capital involved, etc. depending upon the purposes for which the company is to be incorporated. They have the liberty to select the type of company viz. Private Company, Public Company, Non-profit Making Company, etc. Every individual, intending to be appointed as a director of the company shall make an application for Director Identification Number (DIN) to the Ministry of Corporate Affairs. Therefore, before submission of the name form, all the directors of the proposed company must have DIN and if they are not having DIN, it should be first obtained. DIN is as individual specific not for a company. This means DIN once obtained shall serve the requirement for all the companies in which individual is a director or intended to be a director. No one can have more than one DIN. After 16th September 2006, every document prescribed under the Companies Act, 1956 is required to be filed with the use of Digital Signatures by the person authorized to sign the documents. Therefore, it is mandatory requirement to obtain digital signatures before filling DIN. The signatories have to enrol with MCA. The proposed name should ascertain whether it's available or not. After confirming its uniqueness, then it has to file with the registrar along with a required fee for name. As per incorporation rules, 2014, the new term “Reserve Unique Name” (RUN) has been introduced. An application for reservation of name can be made through the web services which are available at the MCA portal along with the required fee which may be either accepted or rejected, as the case may be, by the registrar. After the name approval within a period of twenty days, Form.No.INC-32 (SPICE) has to be filed along with the fee as provided under the companies’ rules. Once the form has been approved by the registrar, you will receive an e-mail regarding the same along with the certificate of incorporation. This can be done within 1 or 2 days from the approval date.